Is Farm Safety an important concern within your community? With so many farm related accidents involving children, it’s a very real issue for so many. Click the video above to take a sneak peek of “No Harm on the Farm”. 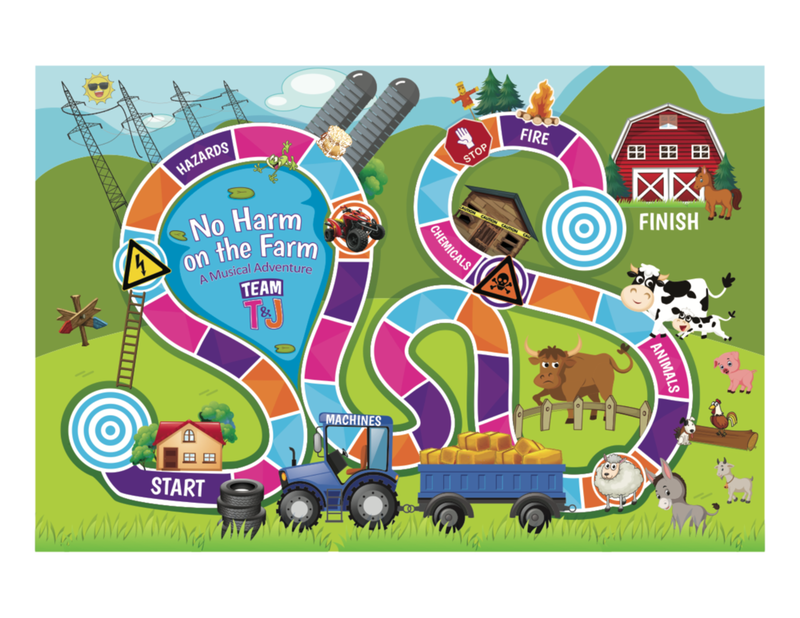 No Harm on the Farm is an innovative, engaging and interactive program that puts vital focus on Agriculture Safety, where rural and suburban children along with their families can participate in a hands-on interactive experience. Topics related to: Hazards, Machines, Animal, Chemical and Fire Safety. Tailored for the fair industry, comes an unprecedented show dedicated to kids and farm safety. 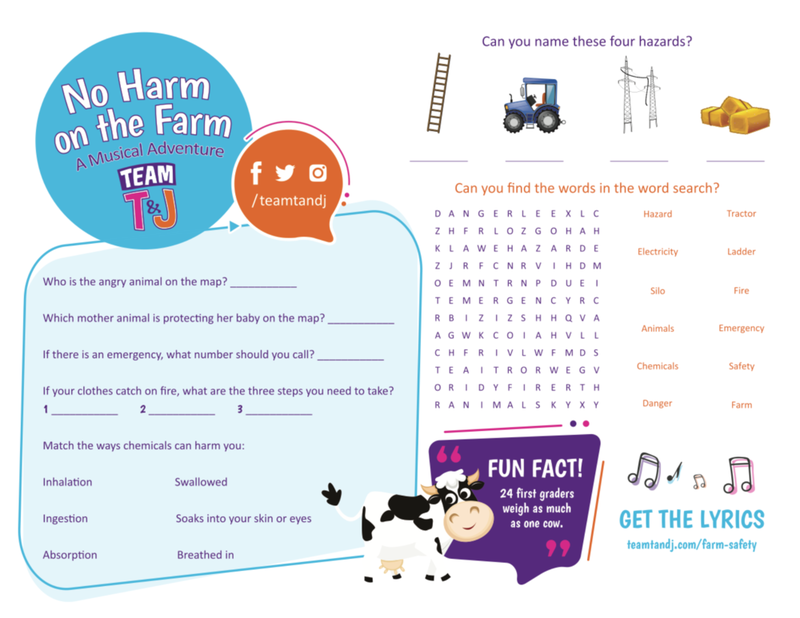 No Harm on the Farm has a take home message that could literally save the lives of children. No Harm on the Farm is a winner of the 2018 IAFE Agriculture Award. “Please use us as a reference, everybody needs this, there’s nothing like this anywhere. I have 29 years experience booking here and a show like this is missing and really very needed.” -Rod Hergott Event Sales & Production Manager, Westerner Days, Alberta. Our youth is our future, and future proofing our agricultural selves begins with the kids. TEAM T&J make it their job to empower kids with knowledge that will keep them safe while providing tools for an even safer future. Every child takes home a piece of the show for each of them to continue their learning.